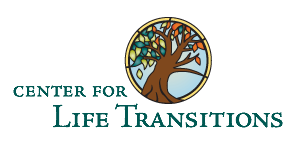 St. Ann’s Center of Intergenerational Care in St. Francis, Wisconsin (www.stanncenter.org) is pleased to acknowledge a gift of $2,400.00 from The Center for Life Transitions, Inc. headquartered in Bridgewater, New Jersey. The gift will help support the ministry of Father Byron Haaland who works with the elderly at St. Ann’s as well as throughout southeastern Wisconsin. Fr. Byron also addresses the spiritual needs of people with severe disabilities, like lack of mobility or inability to communicate, who would not otherwise have a faith community. “Fr. Byron has a hospice ministry where he visits individuals and holds spiritual services for those in hospitals and who are homebound,” adds Sr. Edna Lonergan, President and founder of St. Ann’s. About the The Center for Life Transitions, Inc. The Center for Life Transitions (www.centerforlifetransitions.net) is a counseling and resource facility in Bridgewater, NJ. The Center helps people at career and personal crossroads and also encourages faith/spiritual exploration as part of the transition process. It was started by Tom Bachhuber and Scott Pointier, who presently serve as President and Vice President, respectively. Tom moved to Milwaukee in 2003 to head UWM‘s Career Development Center and continues to provide services in Milwaukee and in New Jersey.